Mitt Romney used to say that this election was a choice between his proposed "opportunity society" and the President's "entitlement society." Mysteriously, that has changed in recent weeks. His opportunity society still stands, and for good reason: a recent poll from the moderate Democratic group Third Way found that 80% of swing voters  those who might go either way  preferred a government that provided opportunities to one that smoothed out inequalities. But Romney now says that Obama favors a "government-centered society," which is far clunkier though undoubtedly the product of polling as well: apparently an entitlement society didn't sound like such a bad deal. People like entitlements. They may not like entitlements for poor people, but they love Social Security and Medicare. And that is another reason why Romney starts the general-election campaign in something of a jam, having given his full-throated support to Congressman Paul Ryan's House Republican budget, which proposes significant changes for Medicare. 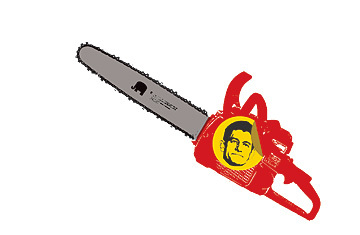 The Ryan budget is likely to be the totem pole around which the coming election will be fought. It is an entirely radical piece of business. Every budget is a political document; this one, however, is a campaign document  it is a right-wing fantasy and could not possibly be enacted. It contains several aspects that Republicans will love: humongous tax cuts, focused on the wealthy; humongous budget cuts, focused on the poor. Because the spending cuts don't outweigh the tax cuts by very much, the federal budget would not be balanced until 2040, unless there is significant tax reform, the closing of loopholes that Ryan refuses to specify. The proposed tax cuts, about $4 trillion over the next 10 years, are Republican business as usual. The real outrage lies in the budget cuts, which would reduce federal spending on everything except Social Security, health care entitlements and interest on the debt to 3.75% of gross domestic product by 2050. As the Congressional Budget Office pointed out in an evaluation requested by Ryan, federal spending in these areas has never been less than 8% of GDP since World War II. Defense spending alone has never been less than 3% during that period, and Ryan plans to increase it. As the liberal Center on Budget and Policy Priorities put it, if Ryan's budget were enacted, "the rest of government would largely have to disappear" by 2050  which means everything from food- and water-safety inspections to highway funds to basic research, as well as all spending on the poor. No doubt many of these programs need to be reformed and some might even be eliminated, but the cuts envisioned by Ryan are simply ridiculous. They will never happen. The real heat, though, will be about Ryan's plan to reform Medicare. It is based on a deal that Ryan cut with Oregon Senator Ron Wyden, a Democrat and perhaps the most creative health-policy thinker in either party  although Wyden told me that Ryan's version drops several of the safeguards for the elderly that the original deal included. What Ryan proposes is essentially Obamacare for the elderly  that is, a choice of private health care plans  with two differences: there would be a public option (seniors could stay in Medicare), and there would be a fairly strict cap on total spending increases (GDP growth plus 0.5%, much less than current health care spending trends).